The formal leadership roles in a crew vary from crew to crew. They can even change within the same crew as the crew’s size and needs change. The positions most critical to a crew’s success are the elected positions. The president and vice presidents of the crew are usually elected by the entire crew. In many crews the other officer roles are appointed by the president in consultation with the other officers. Serve as leader of the crew. Implement the crew program in cooperation with officers and members. Work closely with Advisors and other adults in a spirit of partnership. Represent the crew at the Venturing Officers Association (VOA) and be available to report to the chartered organization and crew committee. Work with the crew Advisor in conducting the crew officer’s seminar. In consultation with the vice president of program, appoint activity chairs. Present an annual report to the chartered organization and/or committee at the conclusion of the term of office. Assess on an ongoing basis whether the responsibilities of the officers are being considered and carried out effectively. Approach Venturing in a spirit of fun and enjoyment, and encourage others to do so as well. Run the crew officer’s meeting. Two key responsibilities characterize the position of vice president of administration: leading the recruiting efforts for new crew members and managing member recognition. 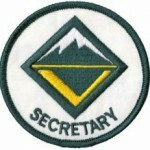 Serve as administrative officer of the crew. Assume the responsibility of the crew president in his or her absence. Lead the recruiting and admission of new members during the year. Coordinate with others the leadership of crew membership and sustainability events. Organize, record, and recognize the achievements of crew members. Conduct opening and closing ceremonies for special occasions as scheduled. 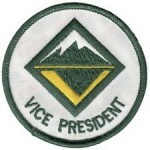 Participate in the council’s annual Venturing Officers Association program planning conference. Approach Venturing in a spirit of fun, and seek to reflect this spirit in the recruiting of new members and through recognizing the achievements of crew members. Appoint and supervise den chiefs and crew guides. Serve as the program officer of the crew and arrange the program planning process for the crew. Collect and maintain a crew activity file consisting of the Program Capability Inventory forms, a list of crew member interests and suggestions for activities, program resources, and an annual activity scehdule. Determine the interests of the crew members on an ongoing basis (using Venturing Activity Interest Surveys). Appoint youth chairs for special projects and appoint special crew officers, if this responsibility was assigned by the crew president. Provide support for the chair and committee for each activity. Maintain an up to date calendar of crew meetings and activities. Approach Venturing activities in a spirit of fun and enjoyment, and encourage others to do the same. Serve as the communications officer and, in that position, manage all communications and publicity for the crew. Maintain crew membership and attendance records in consultattion with the vice president of administration. Handle crew correspondence and minutes. Coordinate crew publicity through local media, social media, crew newsletters, and the crew’s telephone network. Approach Venturing in a spirit of fun, and seek to reflect this spirit in the publicity and communications of the crew. The crew treasurer is responsible for keeping accurate records of the income and expenditures of the crew’s funds. The crew expects an exact accounting of all the money taken in or paid out. 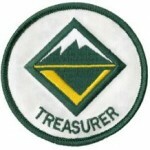 The treasurer ensures that all expenditures are approved by crew officers and the Advisor before writing any checks. An auditor from the crew committee may be assigned to assist in setting up bookkeeping procedures, bank accounts, and money handling methods. Treasurer Note: In many new or smaller crews, finances are sometimes left to an adult member of the crew committee who will then keep the Vice President of Administration and/or President updated on a regular basis. 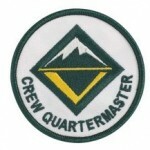 The crew quartermaster is responsible for the crew supplies and equipment. He or she keeps an inventory of and maintains equipment in good working order. When equipment is loaned to crew members, the quartermaster monitors the safe return of the items. The quartermaster maintains a list of gear and supplies needed in the future. 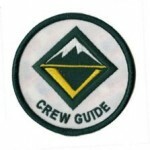 The crew guide serves as an individual mentor for new Venturers, assisting in their understanding of the Venturing program and participation in crew activities. 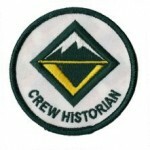 The crew historian collects and preserves memorabilia, press releases, photos and other data of historical significance to the crew. He or she maintains information about crew activities and erstwhile crew members. 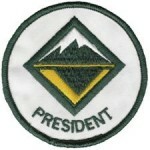 A den chief serves as a liaison to a Cub Scout den and assists a Cub Scout den leader in operating the den. Any crew member can serve as a den chief with the approval of both the Crew Advisor and Cubmaster. It is important to keep in mind that serving as a Den Chief is considered a year long commitment and you will be expected to show up at den meetings to assist. This position does count towards leadership requirements. An Activity chair is a vital role to the success of all crew activities. Activity chairs are the responsibility of the vice president of program and take lead on a specific activity to plan, organize and see through to success. Any crew member can be an activity chair and the position remains until the activity is complete at which point the position is dissolved. While this position doesn’t necessarily count towards leadership requirements, it does count toward activity planning requirements. Periodically serve as activity chair.